They're so much fun to run or walk on and offer some amazing views of the city. It always makes my runs go by much quicker, and they're relatively flat so it's not too hard of a workout. Also, yesterday for my birthday I got an amazing GPS watch made by Nike: which I'm VERY EXCITED to start using. 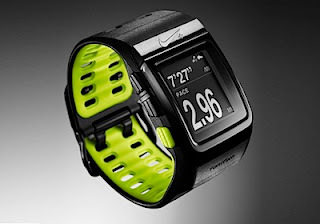 I'll be able to track my miles, calories, average pace, and many other stats. I'll talk more about how I like it once I'm able to use it. It's been a very busy week so far, so I'm excited to go for my next run!